Palestinians and Israelis few opportunities for positive contact in their daily lives. In some cases, they live literally across the road from one another, but live completely segregated lives. As a result, they know each other through myth and media, which exacerbates hate and perpetuates the cycle of violence. An unequal distribution of resources reinforces the divide and creates obstacles for those most vulnerable, including females. PeacePlayers International – Middle East (PPI – ME) directly addresses these issues through longitudinal programs that engage Palestinian and Israeli young people ages 6 to 23. 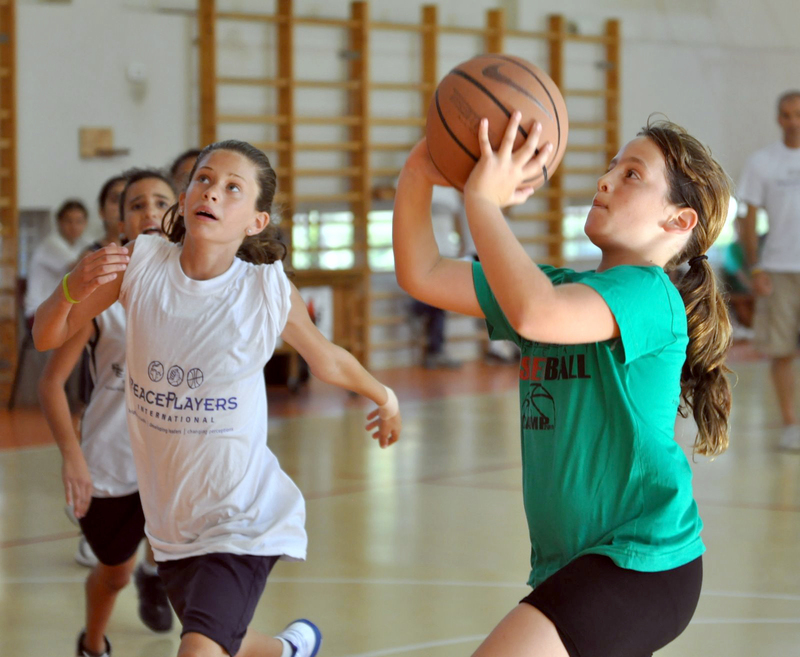 Basketball is used as tool to unite Palestinian and Israeli youth, by providing a safe space where participants can form new group identities and build friendships and trust. The program targets from disadvantaged communities, and includes 70% female participation. Children are engaged in the program at least twice weekly, providing a constructive framework to guide their development. Conflict resolution, leadership and professional development training help create a leadership pipeline, by equipping participants with skills to become leaders in the program and beyond.